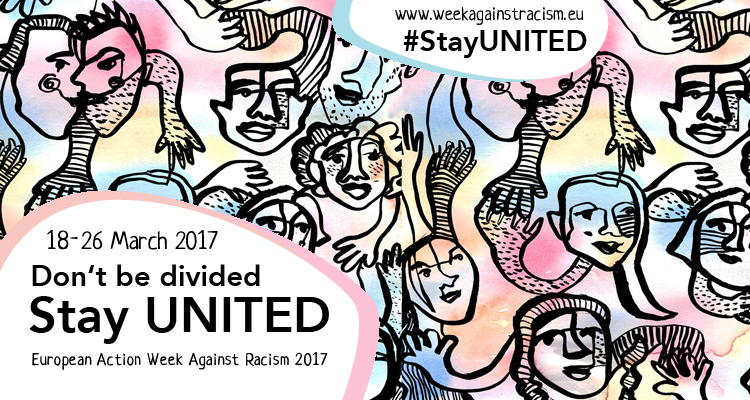 European Action Week Against Racism! 1. 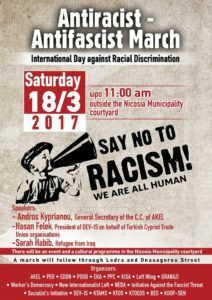 On Saturday, March 18, at 11:00, outside the Municipality of Nicosia: We gather to march and shout out loud against racism, nationalism and fascism. We join o ur voices, Greek and Turkish Cypriots, migrants and refugees with the progressive forces across Europe and the whole world and we take part in this international mobilisation. 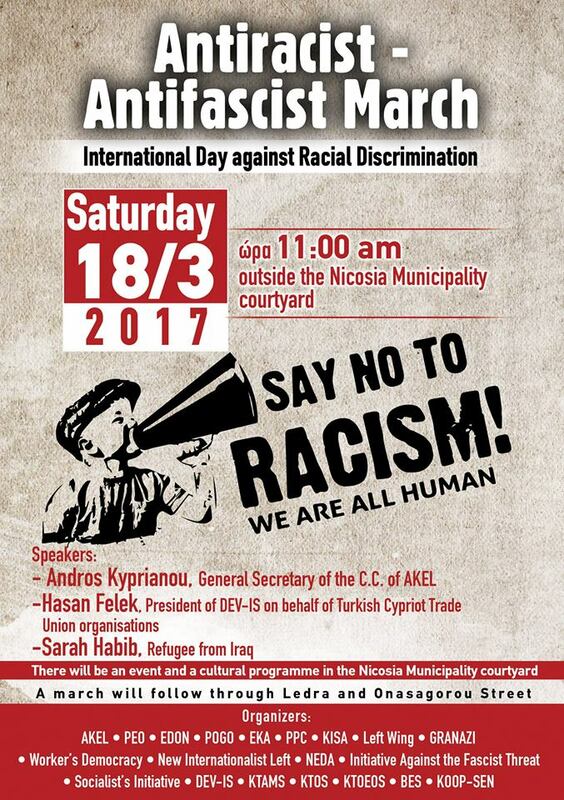 We call on all progressive organisations, migrants and refugees in Cyprus and individuals who share this message to come with us in this bi-communal march in order to turn it into a rally for peace, democracy, equality, human rights and solidarity. 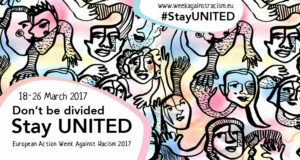 The march is organised in cooperation with other organisations and bodies. For more information about the mobilization, please download the joint declaration here. 2. 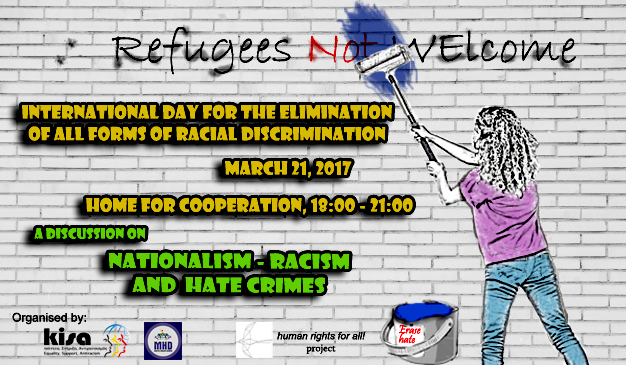 On Tuesday, March 21, at 18:00, Home for Cooperation: KISA and RRA are organizing an open discussion entitled “Nationalism – racism and hate crimes. 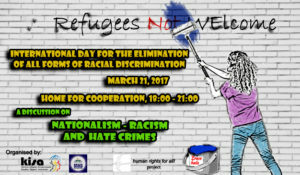 Taking seriously into account the incalculable consequences of hate crimes, both on victims and on the society as a whole, the event will focus both on the upsurge of nationalism – Racism and their connection to the increase in hate crimes, as well as in ways to effectively address such phenomena. For more information, please see click here.